As I've mentioned before on the blog, I've been trying to cut down on my sugar intake, with varying degrees of success - it's tough when you have a sweet tooth like mine. Recently, I thought I'd try my hand at baking something myself so that I could control the amount of sugar going into it. 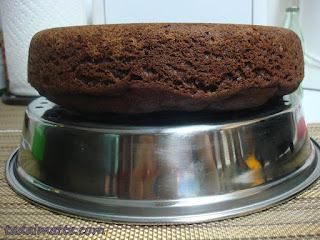 I settled on a cocoa honey cake from the blog What Julia Ate. Reading about her experience with the recipe, I was much relieved to find that plenty of people out there are trying to stick to natural sugars. She recommended her cake with a little bit of maple syrup on top. This wasn't the tough part, of course, as there are plenty of recipes out there for weight watchers and diabetics. It actually was a tough choice for me. But functionally, I was much more likely to make an occasional cake and continue buying fabulous Korean-made fresh tofu at P.A.T. Spring Market. The Zojirushi was what I ended up taking home - and even though you can buy fuzzy logic (i.e. 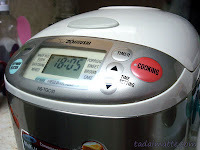 fancy) rice cookers in most major cities, I heavily recommend using Amazon for a serious rice cooker purchase. The selection is fantastic - providing the seller ships to your area, of course - and the prices for the really nice rice cookers are much lower than I was finding them locally. 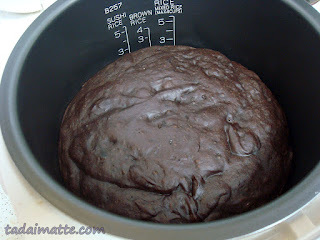 Back to my dilemma - I had seen rice cooker cake in action, back in Japan, while visiting a co-worker's house. My cooker had even come with a recipe for cake, though I had no idea where that might have gotten to. Still, if it could make one cake, it could probably make many variations of basic cakes, right? I started mixing up the ingredients (shame I couldn't have mixed it right in the rice cooker bowl, but that needed to be greased) and dumped in the rather thick batter. I figured, if Julia's came out perfect, so would mine. Maybe. 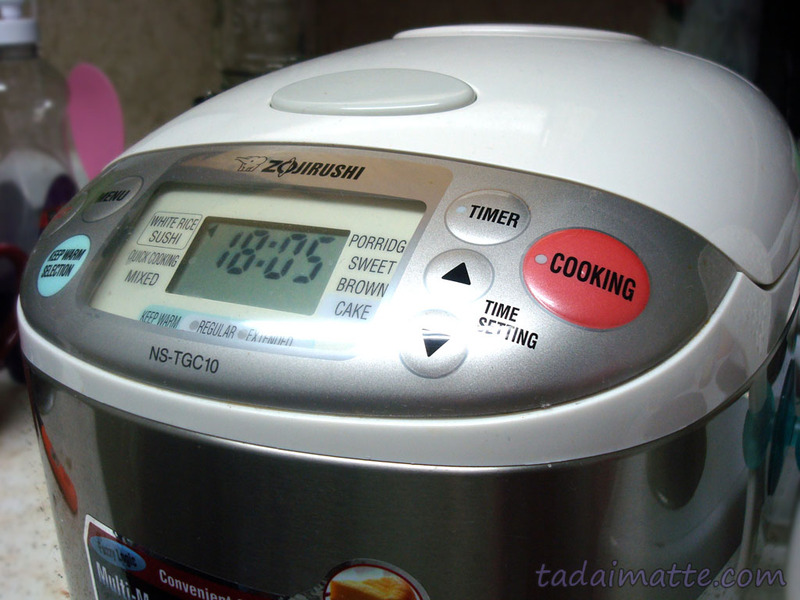 Then I set the rice cooker to 'Cake', and pressed the 'Cooking' button. 45 minutes or so later (seriously? faster than making rice?) the cooker started singing a little tune, and I eagerly opened up the cover to see the fruits of my labour. Hmm. Well, that wasn't quite what I imagined. But now it doesn't look half-bad! Then I left it to cool a little longer, but the promise of warm cake in the next room made that extremely difficult, needless to say. 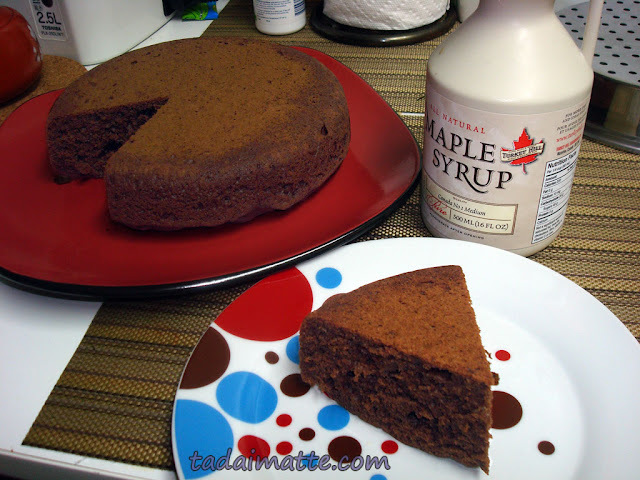 It was hardly twenty minutes before I was back and cutting myself a slice to top with a spoonful of maple syrup. It was actually very good! The cocoa was subtle and the honey gave it juuuust enough sweetness. It was fluffy and soft, though it was a little on the dry side - I assume this is a result of some combination of a recipe not really intended for fuzzy logic cooking, and left-the-rice-cooker-on-'Keep Warm'-for-a-few-minutes-by-accident. Next time, I will add an extra egg (included in the recipe below) to try and account for that. What do you think? Want to give cooking in your rice cooker a try? I actually own a very good rice cooker cookbook, though I'm always looking for new recipes. If you have anything, send it my way! Mix dry ingredients thoroughly, using a sifter if necessary. When your cooker starts singing to you, you know it's time! Remove the pan from the heat immediately and leave to cool for a few minutes before turning out onto cooling racks. When it's cool enough to eat, top with fruit, maple syrup, whip cream or whatever suits your fancy!